There is so much strife going on in the world today. Wars, murder, oppression…it can be so overwhelming, especially if you watch daily news shows! Then, there is the stress found in day to day interactions with people; jealousy, racism, and overall “hateration” *my neighbor’s word- not sure if it is a “word” but you get it. Lately, I have found myself being drawn into arguments and basically getting my anger button pushed by people who are normally jovial and good natured. I wondered about this-Is everybody going crazy? Do I have an invisible sign on my back that says “fight me”? Then I remembered Ephesians 6. It is not the individual, it is the age old spirit of darkness doing its work. I do not mean the devil specifically. It is negative energy overall. 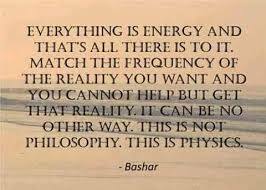 All physical reality is made up of energy. Our thoughts are vibrations of energy. As such, they have a powerful influence in our lives. Put simply, where your focus goes, your energy flows (borrowed this statement from someone, somewhere-it really sums things up). The upside is that we are in control of our thoughts. We can choose to not be moved by angry people or loved ones getting on our nerves! We can choose light instead of darkness-even in the midst of a blow up with your significant other or dealing with the annoying kid in drive-thru who could care less that you only have an hour for lunch! We have directed our attention to walking as the Bride in the Kingdom of God. 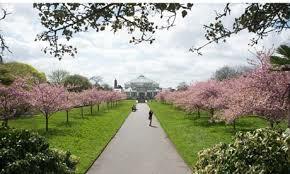 We see the spring blossoms begin to open. The garden of love beckons us and the Spirit of God is filling us, all in all. Humility is the 6th tenet. Pridefulness may not be found in your character at present. You may be wondering why I bring it up. We have a spirit of righteousness developing within us and our spiritual wheels are turning. So far, so good. Caution: There is an adversary. Whether we choose to believe in the existence of Satan or not, we are not exempt from the devices of darkness. As a matter of fact, we become attractive to those seeking the Light and to those in darkness. Why? We are shining bright! You are the light of the world. A city set on a hill cannot be hidden; nor does anyone light a lamp and put it under a basket, but on the lampstand, and it gives light to all who are in the house (Matt 5:14-15). Our Light will cause others to want what we have. This is not good for business, if you are in the business of darkness. Enemy tactic #1: self-righteousness. You may think, “That would never happen to me”. Beware! The tactics of the enemy are subtle, which is why so many people believe the adversary does not exist. For instance, you know someone who is struggling with purity or worry. Maybe you have been through the same, yet Christ in you has helped you overcome. Nonetheless, your thoughts about this someone are, “Poor soul, they need to get it together”! The self-righteous spirit forgets that they once walked in the weaknesses that they see in others. They decide to elevate themselves above others. It happens. The Spirit of The Lord is doing such a great work in us that it is easy to forget where we once were. Or maybe we are so thankful for the new path of life that we don’t want to remember. but with humility comes wisdom (Proverbs 11:2).